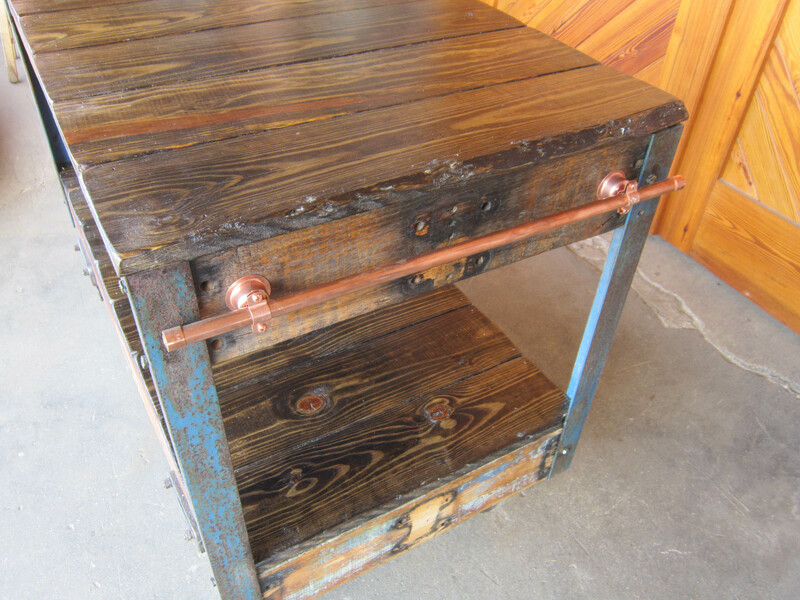 Reengineered from reclaimed furniture factory cart frames, this kitchen bar table is the perfect size for a range of uses. It makes a functional, mobile island or a fashionable bar cart. The frame is made of White Oak factory cart frames, with Pine top decking. The structure is made of reclaimed steel, which still shows its original blue paint, that has been sealed. The wheels are the original cast iron hardware from the furniture factory carts, and the copper towel bar makes a shiny addition. 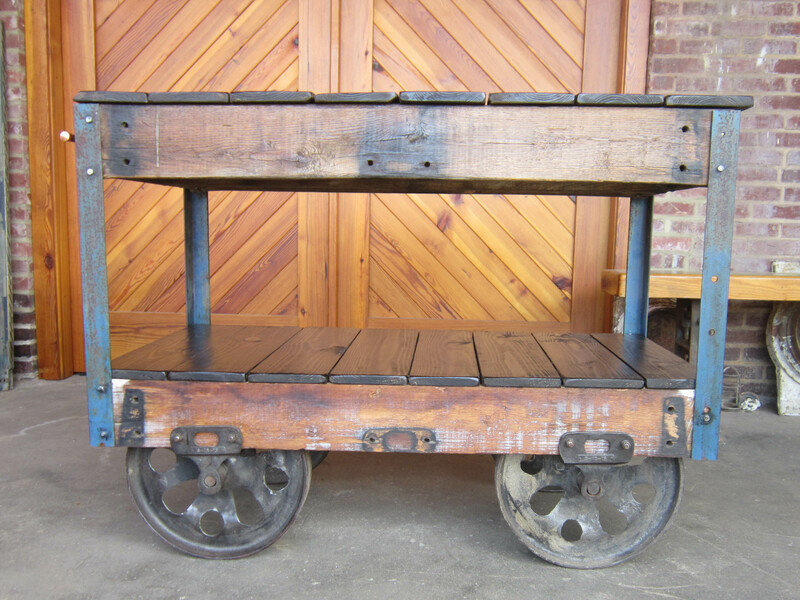 Because this table makes use of four original cast iron wheels, this cart is very stable - no three-wheel teetering. It stays firmly in place, but is mobile enough to roll out of the way when needed.